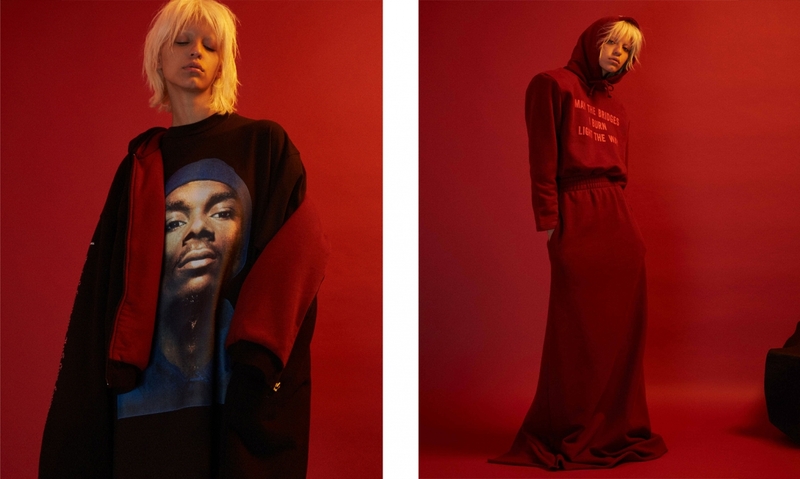 vetements created CROPPED HOODED SWEATERs, TRACK PANTS INSPIRED HIGH WAIST LONG SKIRTS, RE WORKED JEANS AND OVERSIZED BOMBER JACKETS for their AW16 17 COLLECTION. THE CLOTHES ARE PUNKED-UP AND UPDATED WITH EXAGGERATED SHOULDER PADS, OFTEN DESCRIBED AS HUGE FOOTBALL-STYLE PADDED SHOULDERS. 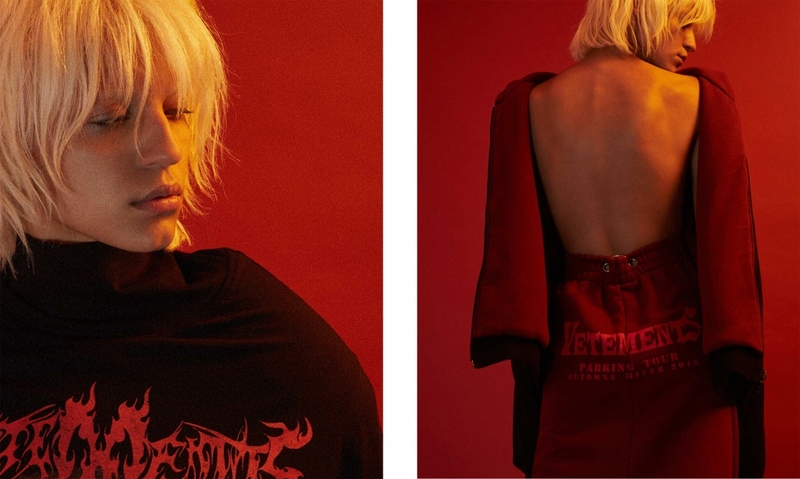 VETEMENTS GREW OUT OF A GROUP OF YOUNG creative ’s DESIRE TO ESCAPE THE CONTINUAL REBRANDING AND REINVENTION OF THE FASHION CYCLE. 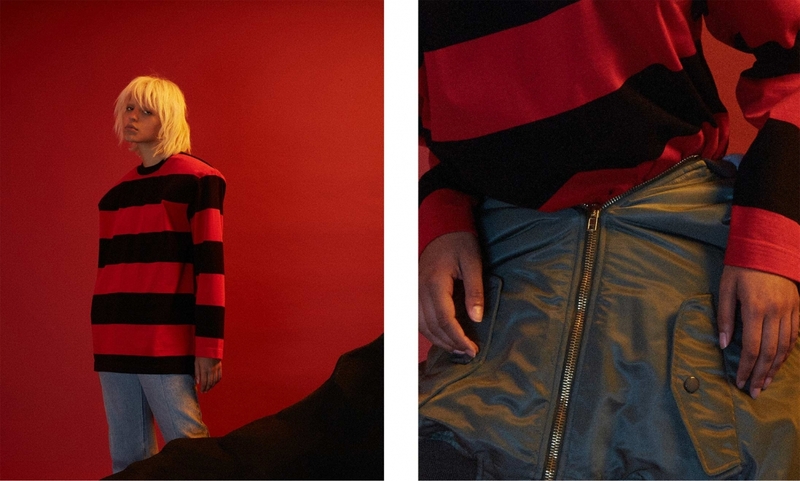 FOCUSING ON SINGULAR, IMPACTFUL PIECES WITH IMMEDIATE APPEAL RATHER THAN THEMATIC SEASONAL COLLECTIONS, THE GROUP PRESENTS RE DEFINED ALTERNATIVES TO OVERTHOUGHT DESIGN IN NEW SILHOUETTES, WITH TOUCHES OF ROUGHNESS AND DECONSTRUCTION. photo’s FROM LN-CC EDITORIAL AW16 17, COURTESY OF LN-CC.